Two young Lithuanian pianists, Marija Kaleničenko and Pijus Pirogovas performed on Thursday evening in Lithuanian Embassy on a very nice, unseasonably warm evening, in Paris. 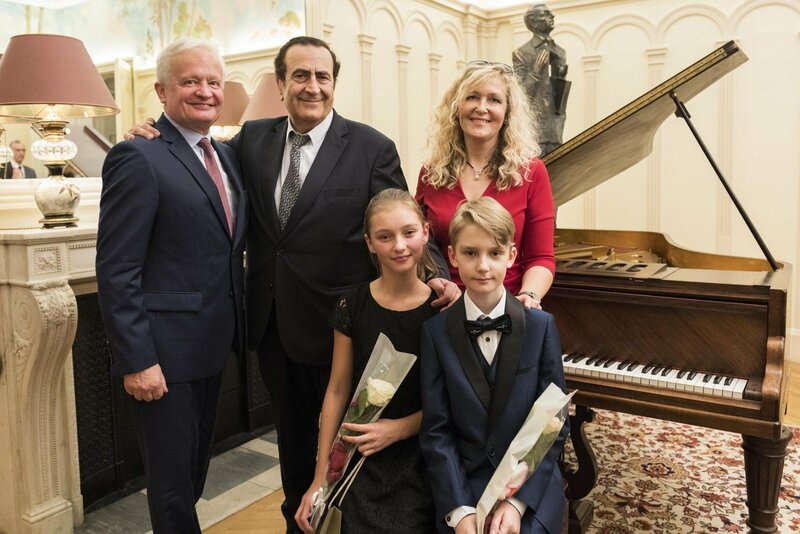 The concert in the Lithuanian Embassy was a first on a concert piano donated to the Embassy by Michel Sogny, the Honorary Consul of Lithuania in Switzerland. A thankful Ambassador Dalius Čekuolis, introduced Mr. Sogny. The Honorary Consul reminded the audience that the Embassy is located in the former residence of Ernest Chausson, a late 19th century French Romantic composer. He said that the piano was in the rightful place as the room had been a gathering place for composers, including Debussy and Ravel, and many art lovers. The two pianists played their short programme by heart, starting their performance with compositions by the benefactor Michel Sogny. Mr. Sogny developed these compositions to put the performers in the right frame of mind. Mr. Sogny, established a pedagogic model to train young pianists and established his own school in 1974. Several years ago, Mr. Sogny also established the Foundation SOS Talents, supporting gifted young pianists. In the first part 10-year old, Pijus Pirogovas played four works by Michel Sogny including two of his Etudes and then played "Fountain in the Rain" by the American composer Gillock, the French composer Debussy, 2 short works by Lithuanian composers Dvarionas and Barkaukas, before terminating with the Tarantella in a-moll by Albert Pieczonka. Twelve-year-old Marija Kaleničenko also performed on the piano the some of the pedagogic works by Michel Sogny before playing Liszt, followed by a Waltz and Prelude by Chopin. She terminated her concert performance with a composition by the Lithuanian composer Balys Dvarionas. "Down The Hill on a Sledge" from his Winter Sketches. Lithuanian Honorary Consul Michel Sogny established a pedagogic model to train young pianists and established his own school in 1974. 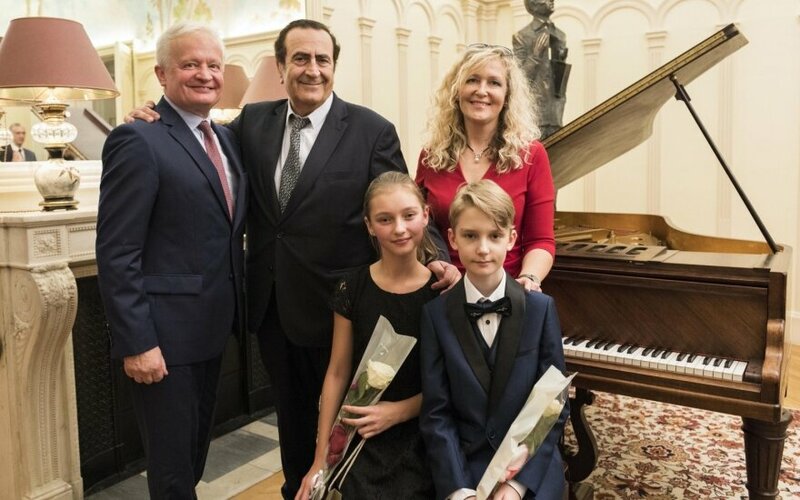 Several years ago, Mr. Sogny also established the Foundation SOS Talents, supporting gifted young pianists. Lithuania's pavilion at the 58th Venice Biennale next year will become a singing beach for a few months.